There’s something for everyone at this year’s Austin Trail of Lights. Scroll down to see our different ticket types and plan your unique experience today. 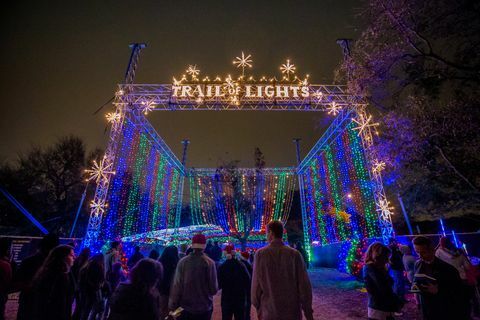 Experience the Trail of Lights in Luxury! Your Platinum Pass purchase comes with concierge service for a VIP experience. Our Platinum team will work to make your experience at the Trail memorable and the planning truly hands-off. All you do is pick the night you and your group would like to come! Be our guest! Platinum pass prices range from $80 for an individual pass, $150 for a 2-pack, and $260 for a 4-pack of tickets. Purchase required for ages 6 and over; children 5 and under are free with a ticketed Platinum adult. Drink & Ride ticket only issued to paid ticket holders, and not valid to complimentary Platinum children. The Ultimate in Convenience at the Trail. Early access to the Trail of Lights at 6:00 pm, one hour before the Trail opens to the general public. ZIP guests may access the Trail through an exclusive ZIP entrance and experience our special ZIP Lobby. ZIP guests also receive access to the Zilker Lounge where you'll find cookies, cocoa, comfortable seating, and heated washrooms. Paid ZIP passes are available even on the “free general admission” nights, and carry a lot of value, especially on busier nights at the Trail. Skip the lines, enter early and purchase ZIP today! ZIP admission hours are 6-10pm, nightly, on December 11th-23rd. ZIP passes are $15 (plus fees) on December 11- 13, and 17-19. ZIP passes are $20 (plus fees) on December 14-16, and 20- 23. Purchase required for ages 6 and over; children 5 and under are free with a ticketed ZIP adult. General Admission is FREE for 7 out of the 14 nights at the Austin Trail of Lights. Refer to the calendar to see which nights offer free entry and which nights carry a $3 entry fee for attendees 12 and over. General Admission hours are 7-10pm, nightly, December 10th-23rd. Advance GA ticket purchasers can access the Trail thru a separate, expedited “Prepaid” Entrance. 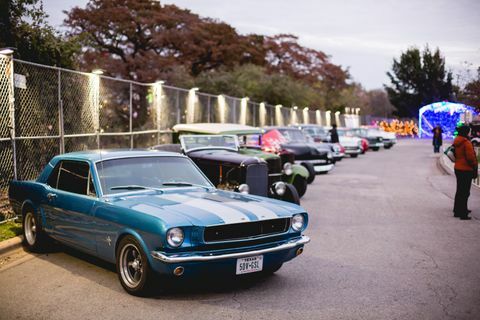 If you plan to drive to the Trail of Lights, we offer close-in, lot parking at Zilker Park available only with a pre-paid parking pass. There are a limited number of spots available each night. All parking passes must be purchased in advance, online, and will not be sold onsite. Parking passes available for $15 per vehicle. Parking lots open at 5:30pm nightly. Parking typically sells out in advance, so purchase yours early! Love Austin, hate the traffic? Avoid the Austin traffic, and take a shuttle directly to the front gate at Trail of Lights from multiple convenient locations around Austin. Purchase a shuttle pass in advance to skip the long shuttle admission lines at each pick up location. Advance Shuttle ticket purchasers may access the Trail through a separate, expedited “Prepaid” Entrance upon arrival at the Trail. Guests who purchase a shuttle pass do NOT need to purchase separate General Admission tickets on the nights that require a $3 admission fee – the shuttle pass includes shuttle ride and GA entry. 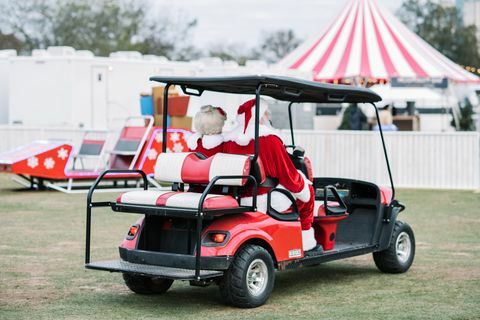 Trail of Lights Shuttles will operate from two locations on Dec 14-16, and 20-23: Republic Square in downtown Austin (422 Guadalupe St., Austin 78701) and Toney Burger Event Center in south Austin (3200 Jones Rd, Austin, TX 78745). Shuttle fare is $6 per person and INCLUDES General Admission access. Small children seated on an adult’s lap and infants ride free. If a guest wants to participate in the shuttle program and purchase a ZIP Fast Pass, then both separate shuttle pass and ZIP Fast Pass purchases are needed. Shuttle Schedule: The first shuttle departs from Burger Center and Republic Square Park at 5:30 pm. Shuttles run continuously from both locations with the last shuttles departing from shuttle stops at 8:30pm. 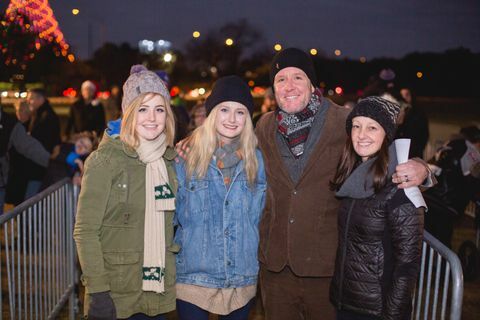 Return shuttles from Zilker and the Trail of Lights will run until 10:30pm to each location. Shuttles are ADA accessible and have room for wheelchair storage. Foldable strollers are also permitted on shuttles. Head to the calendar to pick your date and plan your trip.